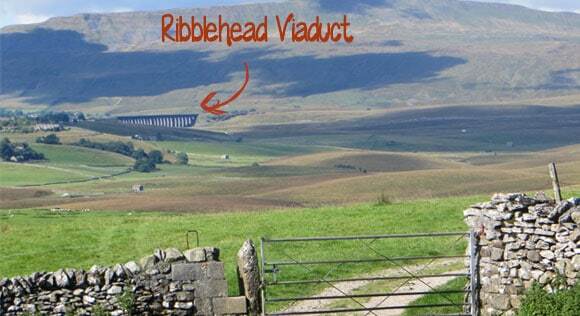 Ribblehead Viaduct: A popular attraction on the walk to Whernside. 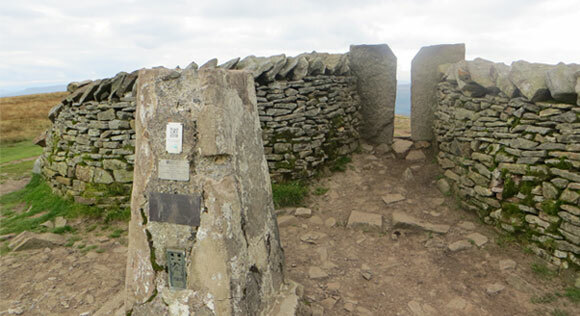 Climbing Pen-y-ghent is short-lived and action packed; Whernside is the complete opposite. 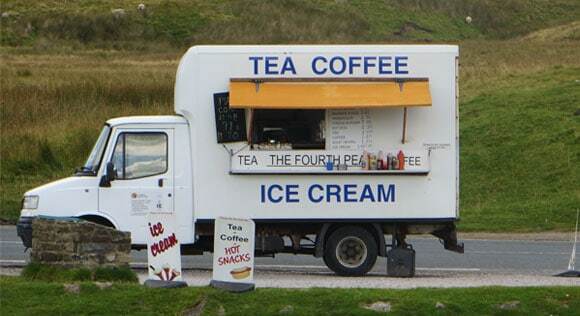 The majority of your time will be spent walking between Pen-y-ghent and Whernside on flat ground. 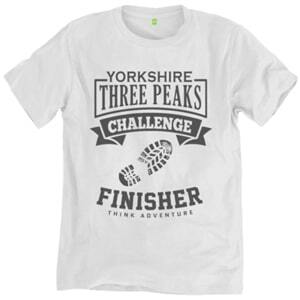 Whernside is the tallest of the Yorkshire Three Peaks, but it is the easiest to climb. No scrambling is required. 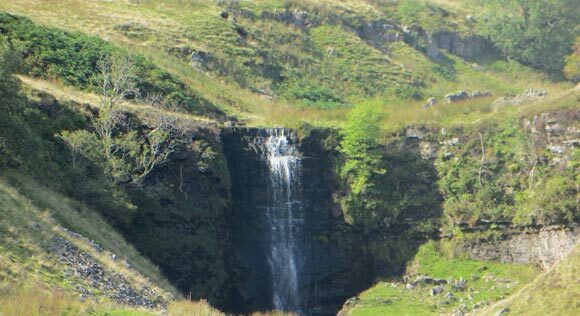 In addition to the long distance between Pen-y-ghent and Whernside, you also have to walk past Whernside and loop around the back. 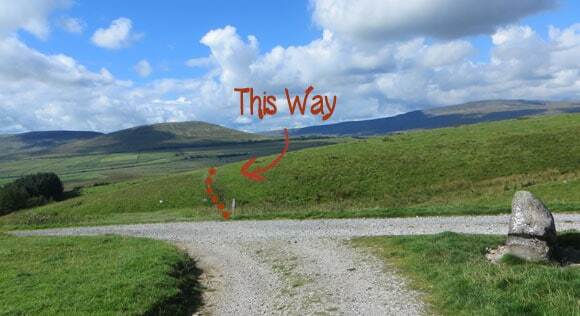 From the top of Pen-y-ghent you are now rewarded with your first downhill section of the 25-mile route. 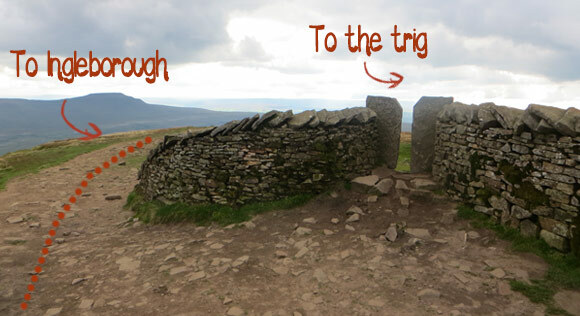 From the trig there are two steps leading through the wall – this is the path you need to take. 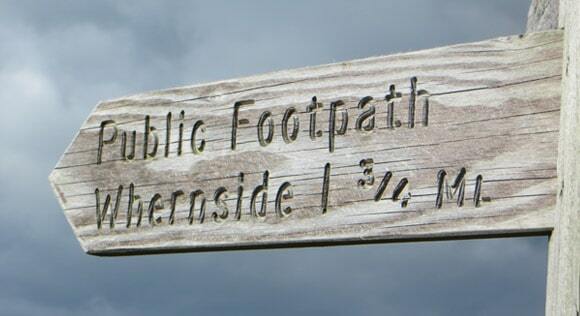 The sign reads, “Pennine Way – Horton in Ribblesdale”. If you had taken the alternative route to Pen-y-ghent from Horton-in-Ribblesdale (the one avoided before the church in the guide from Horton-in-Ribblesdale to Pen-y-ghent), this is the way you would have reached the summit of Pen-y-ghent and you would now be walking back on yourself. 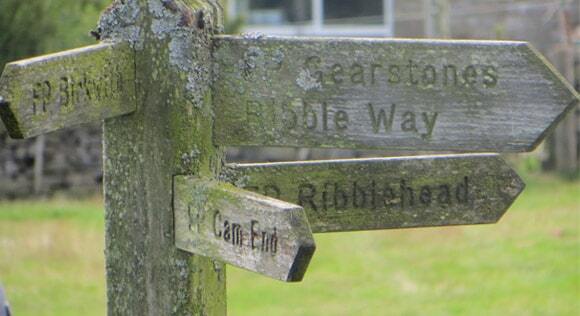 Although you are following the route back to Horton-in-Ribblesdale, you won’t reach the village. 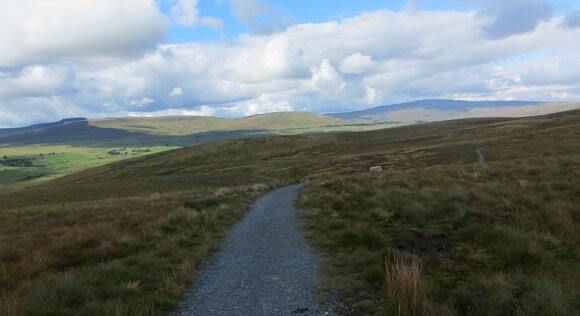 There is another trail leading to Whernside. 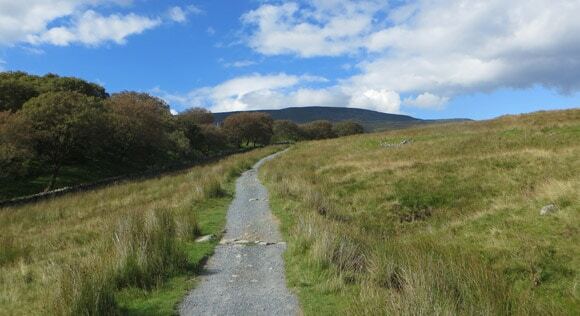 It is a clear and well-marked path down from Pen-y-ghent. Just follow the steps and stoned pathway until you reach a crossroads. It is an obvious checkpoint with an additional three routes to choose from. Keep going straight up, following the sign for “Yorkshire Three Peaks – High Birkwith via Whitber”. The route from here is a stoned path, which is very easy to follow. 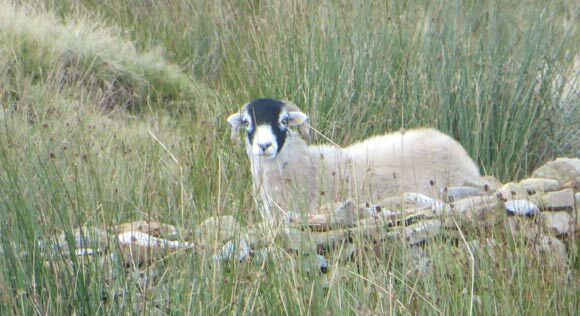 There are usually a lot of sheep around this area, but they are harmless. They stop and stare but once you’re in a certain proximately they run away. When walking with dogs in fields with cattle, avoid getting between cows and their calves and keep any dogs close and under effective control on a lead around cows and sheep. You should not hang onto your dog if you are threatened by cattle – let it go, as the cattle will chase the dog. 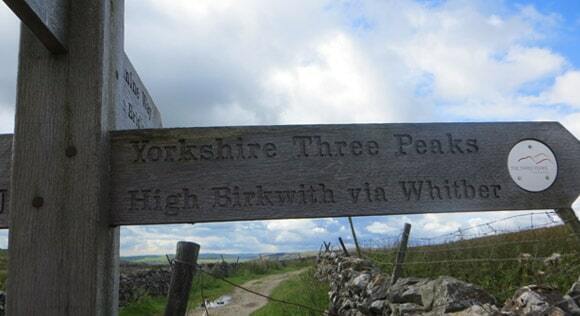 The next available signpost is for “Yorkshire Three Peaks – High Birkwith”. Head right and follow the path. The stoned path is no longer available and it will now be a grass surface stocked with a lot more sheep. 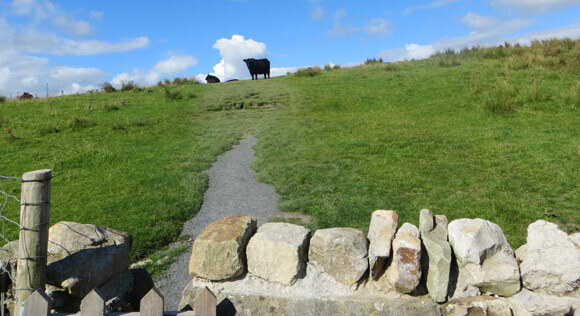 Once you reach a stone wall with a gap leading through – known as a stile – the route will become less obvious and cows will now be accompany sheep. The cows can be intimidating; keep your distance as much as possible and don’t place yourself between a cow and their calves. The cows are used to hundreds of people passing each day and are not naturally aggressive. The route will not be paved but, depending on the time of year and weather, it is possible to see the direction based on the shade of grass. Other peoples’ footprints highlight the route. This would be a prime opportunity to ensure you know where you are on the map. The worn grass is easy to follow, but it isn’t guaranteed to be visible. Keep following the route until you reach a gate and Ribblehead Viaduct is visible. 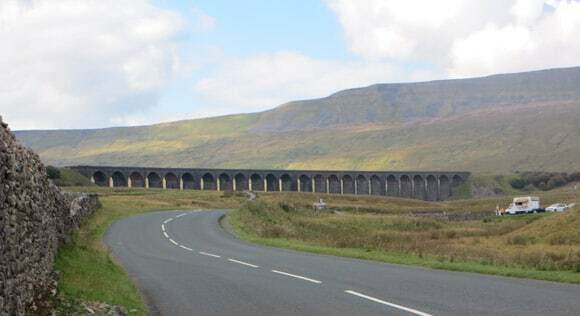 You are heading towards Ribblehead Viaduct and will be walking next to it during your walk to Whernside. Go through the gate and keep following the chalky path. The road ends at a crossing with another obvious stone path. There are no signposts present here. Walk over the grass; do not follow the path. 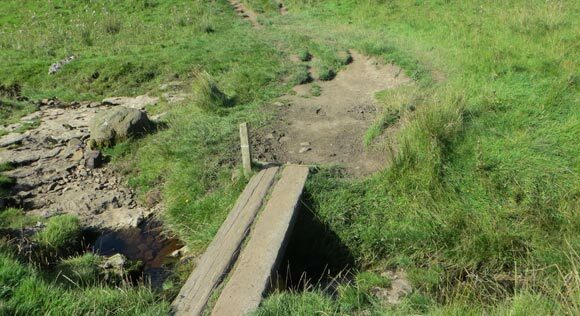 You will cross a wooden platform over running water, keep following the route. Keep following the route of the worn path and pass through the gates as necessary. 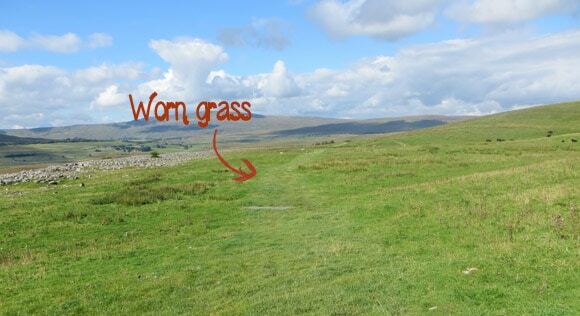 Some sections are clearly marked paths and other areas, especially across the grass, are only visible by following the worn ground of previous walkers. You will eventually cross a small bridge and from here the route becomes a lot clearer and easier to follow. You will pass a group of buildings, labelled Nether Lodge on the OS Map, shortly after crossing the small bridge. There are multiple paths to follow with a 4-way signpost once you reach the end of the path. Follow the sign for “Ribblehead”. 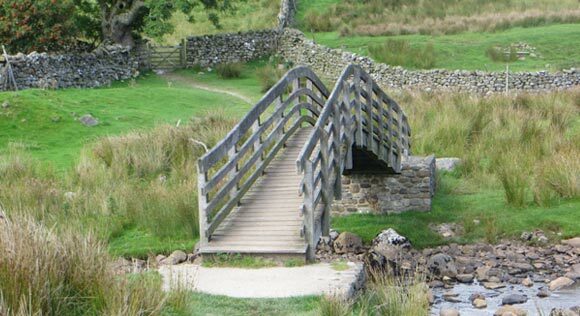 This route will lead you to a bridge over a shallow but wide section of the River Ribble. After a short distance you will reach another set of buildings. The farmhouse is labelled “Lodge Hall or Ingman Lodge” and a concreted path will lead you to the B4679. Turn right onto the B4679 and walk along the road for approximately one mile. There isn’t a designated path. There are usually other hikers, but take precautions and keep close to the side of the road. Keep following the road until you can see the Ribblehead Viaduct. This section is often used as a checkpoint for walkers. Refreshments are available and there is plenty of space to sit down whilst eating and drinking. 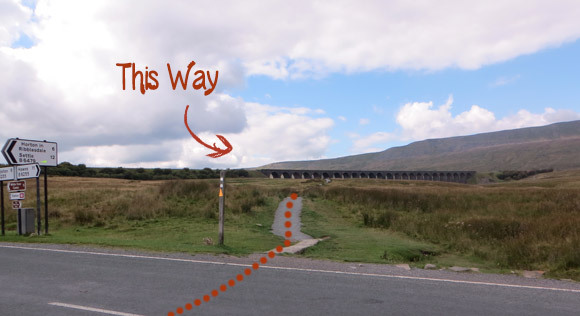 Once you are refuelled and are ready to continue, head towards Ribblehead Viaduct; the path is next to the road signs. Do not go under the viaduct. This is a common mistake due to the clarity of the path leading under the viaduct. There is a pathway leading off to the right just before you go directly underneath the viaduct. 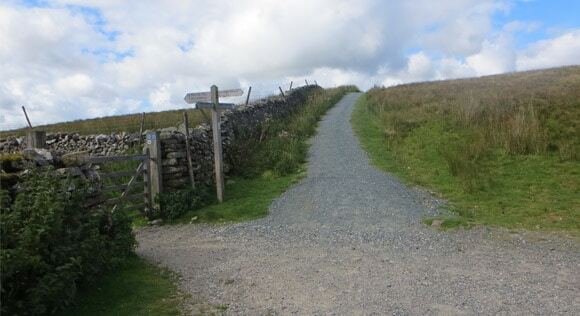 The path from here is clear and you are starting “the loop” around Whernside. Flat ground has now come to an end and it is time to take on the gradual incline up Whernside. 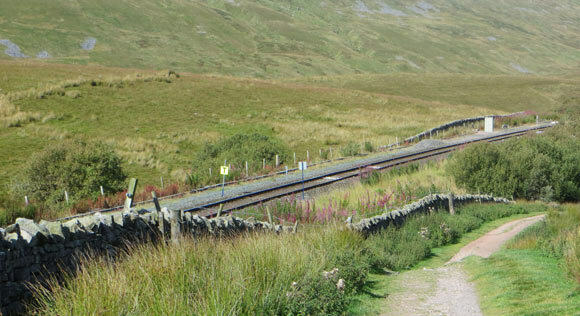 The Leeds-Settle-Carlisle railway line will be on your left-hand side. 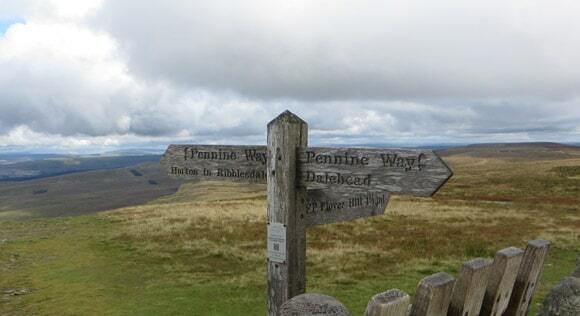 The next signpost reads, “Dent Head” and “Dent Dale”. 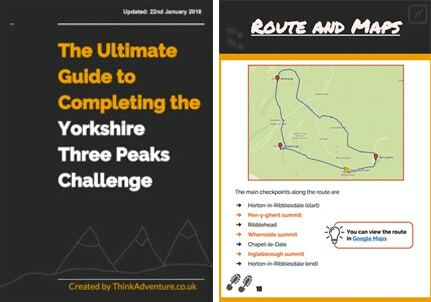 Follow the route for Dent Dale, which is straight up. Keep a lookout for Force Gill Waterfall around this area. 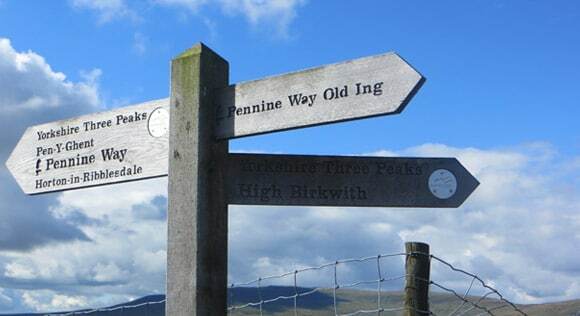 The final signpost is a simple one to follow as it highlights the way to Whernside. It is 1.75 miles to the summit from this point. 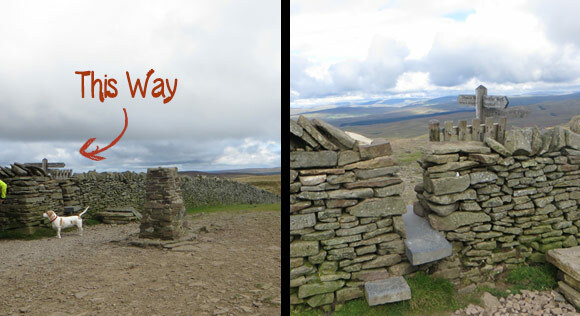 You will see a stone gate upon reaching the summit of Whernside. The trig point can be found by going through the gate. 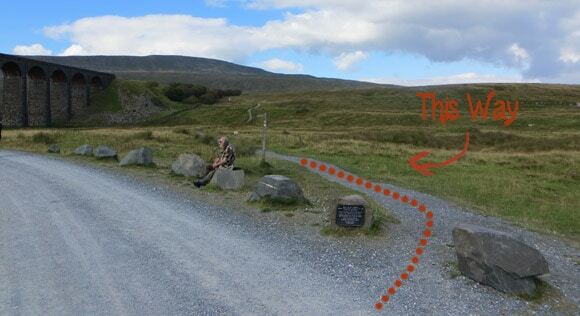 Once you have touched the trig, head back through the gate to begin the trail to Ingleborough. Ingleborough can be seen from this point. Congratulations! 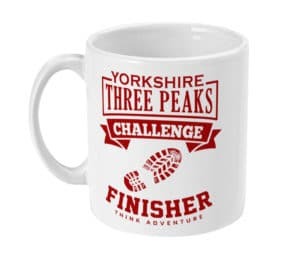 You have now completed two of the Yorkshire Three Peaks and are now heading to tackle Ingleborough.